Recent research has proved Renaissance master Leonardo Da Vinci was able to draw and paint with both hands, says the Uffizi Gallery in Florence. 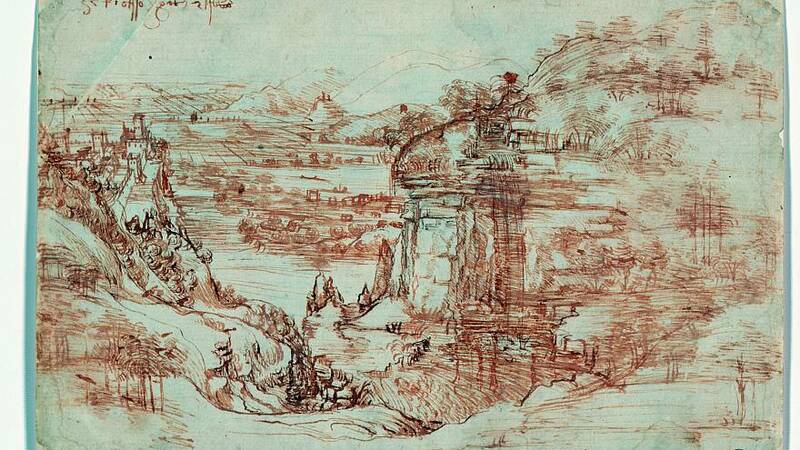 The museum’s study made the claim about his ambidexterity by analysing what is thought to be his earliest drawing of a landscape. The drawing of the Arno river which flows through Florence has two handwritten inscriptions — one on the front written backwards and another one on the back written left to right — which researchers say were both done by the artist who “used his left hand to write the inscription in ‘mirror writing’ on the front and his right-hand to write the back one in ordinary writing, said a statement by Uffizi. Art historian Cecilia Frosinini told the AFP that the inscriptions on the drawing make it clear that his writing with the right-hand was “cultivated” and “formed”. "Leonardo was born left-handed but he was 're-educated' at a very early age to use the right hand," she said. The research was completed ahead of an exhibition to mark 500 years since the death of the art genius.